The 2019 Water Polo World Championships field was drawn into four groups for each gender on April 9 ahead of the tournaments set to begin July 13 in Gwangju, South Korea. Prelims at 8:30 a.m., finals at 5 p.m.
USC alum Kendyl Stewart nearly matched her lifetime best in the 100 fly Sunday night at her former home pool, winning the event in 57.89. Stewart, who announced in April that she was switching from Trojan Swim Club to Team Elite’s San Diego team, split 27.11/30.78. Her best time is 57.82, swum back in 2014. She hadn’t been under 58.80 since March 2017, and her five best times (before Sunday) were all from 2015 or earlier. She is now the second-fastest American woman in 2018 behind only Kelsi Dahlia, who is No. 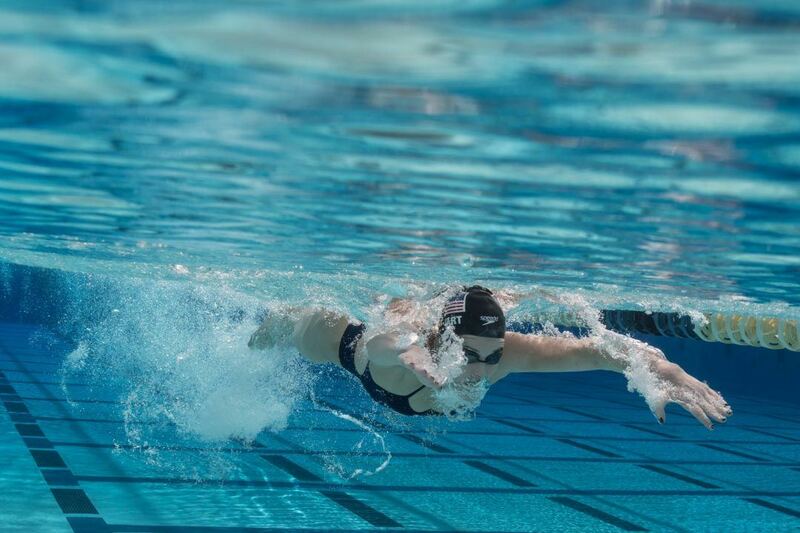 1 in the U.S. with her time of 57.29 from the 2018 TYR Pro Swim Series Columbus stop last weekend. Stewart, 24, told SwimSwam post-race that she “likes having girls that swim [her] races around [her],” training in San Diego. She specifically pointed to the presence of Sarah Gibson, Helen Moffitt, Katie Meili, and Kathleen Baker. Awesome swim, this 50/100 fly battle for second should be a fun one!